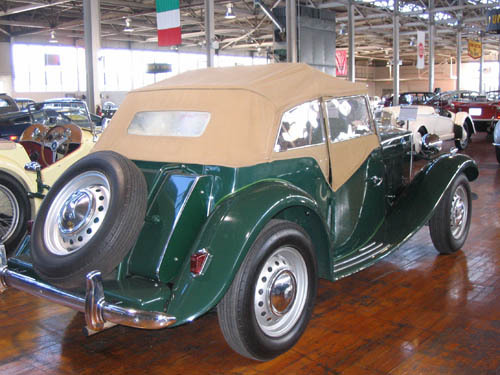 By 1949, the MG TC had become outdated. 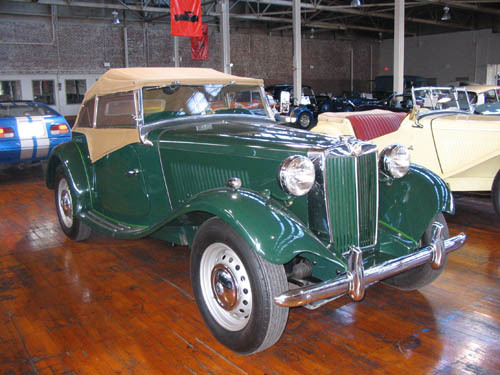 When it was originally released, it was a slight improvement of the TB version that was designed prior to World War II. 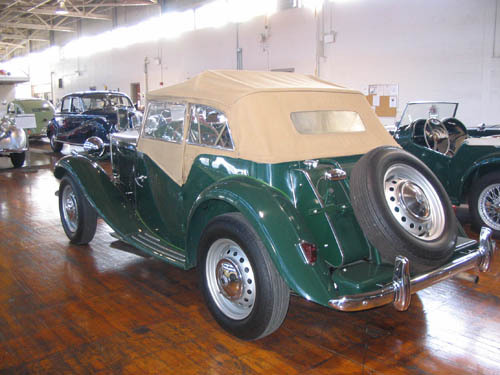 MG (which stands for Morris Garages) Car Company answered the call for a more modern car by introducing the TD in 1950. It was a smashing success with 30,000 produced in just three years. The handling was much improved from the earlier TC as it offered independent double arms and coil spring in the front. The brakes were significantly better which transformed the TD into a reasonable sports car making the TC feel as outdated as it was. 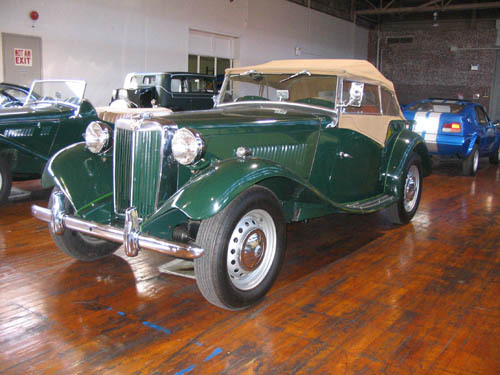 The TD you see here was restored by Museum member Jim Biery for his father as a father’s day present. 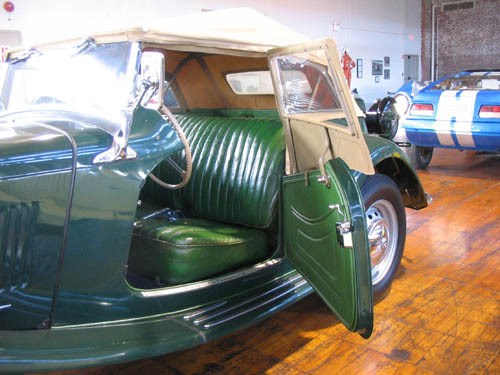 This car is a meticulously correct restoration and stands as a time warp of what a TD would have looked like over fifty years ago when it was new.